The Lake Ray Roberts Rotary Club enjoyed having our final Rotary Seniors today as our guests. 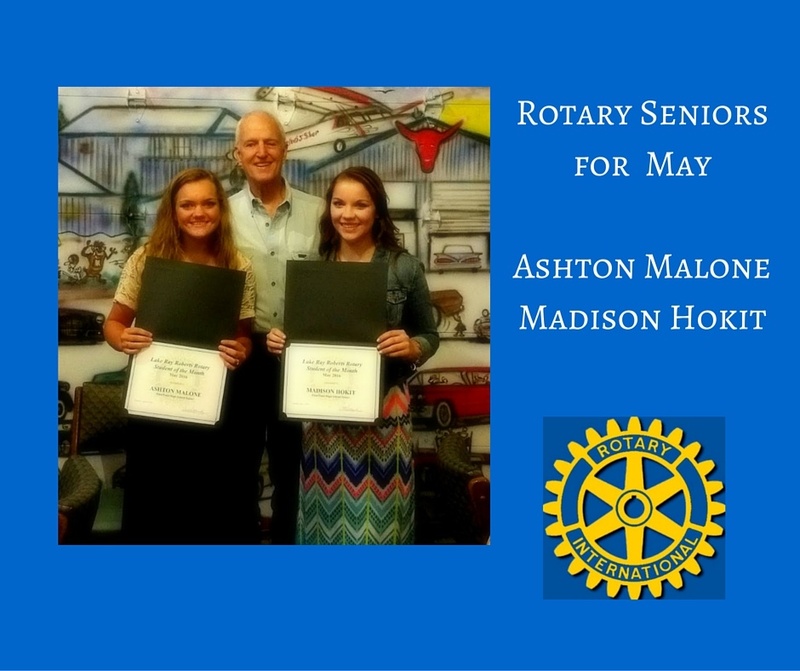 Congratulations to Madison Hokit and Ashton Malone for being selected as our May Rotary Seniors. Madison and Ashton are our final seniors for this year to be eligible for our Lake Ray Roberts Rotary Club Scholarships. There have been 2 seniors selected each month from September to May. These seniors are eligible for the scholarships which will be awarded at the Pilot Point High School Rose Cutting Ceremony. Madison and Ashton did a great job sharing with us today and both have bright futures ahead of them. Again, congratulations to Pilot Point seniors, Madison Hokit and Ashton Malone!